In Georgia, police officers who arrest a motorist for DUI must immediately read the proper language of one of three Georgia implied consent law advisements to the detained driver. Both the timing and the wording used by the officer during the reading of implied consent can help you beat a DUI in Georgia. The only way such legal grounds are discovered to help win your drunk driving case is thorough investigation and a comprehensive understanding of Georgia DUI laws. If the officer fails to read the correct warning, or the full implied consent warning, or he or she makes any substantive errors in the verbal recitation of the language on the card, an Atlanta criminal defense attorney who is also an experienced DUI lawyer can file a motion to have your pending license suspension successfully rescinded (removed) from the Georgia Dept of Driver Services records. William C. Head and the two law partners at his DUI law firm have won over 1000 Georgia DUI cases based entirely on such legal attacks over his 41-year career. See Mr. Head’s more complete list of 10 Tips for Beating a DUI by winning the Georgia implied consent law part of your DUI in Georgia. But the only way to determine if this is an option in your DUI case is to speak with a DUI defense attorney who specializes in driving while intoxicated cases in GA, and who deals with similar Georgia implied consent law issues on a daily basis. 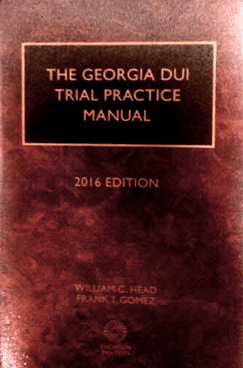 Because he has authored the most widely-read drunk driving book used by Georgia DUI lawyers and prosecutors (on Georgia DUI law) for over 23 years, William C. Head must stay abreast of all new developments in drunk driving defense. To our clients, WINNING is everything. We cannot handle EVERYONE’S case, and don’t want to try. We want those clients who intend to keep a DUI off their criminal history. If your DUI lawyer makes any errors, Georgia appellate court decisions have basically ruled that most decisions are “strategic” and that means that hiring a cheap DUI lawyer is YOUR PROBLEM. The Court system will not UNDO your license suspension based on implied consent in Georgia. What better reason to seek out the help of the veteran DUI attorney in Atlanta with the highest lawyer ratings? To begin the license appeal process, please complete our online case evaluation form now for your FREE professional DUI case evaluation. Or DIAL 404-567-5515. 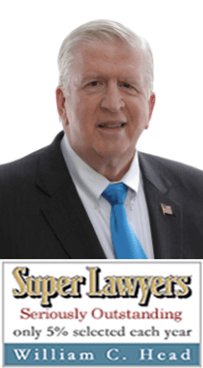 Call 41-year veteran Atlanta DUI attorney Bubba Head today and get honest answers to all your questions. Tell Bubba or his law partners everything that happened and everything you remember about your DUI arrest. 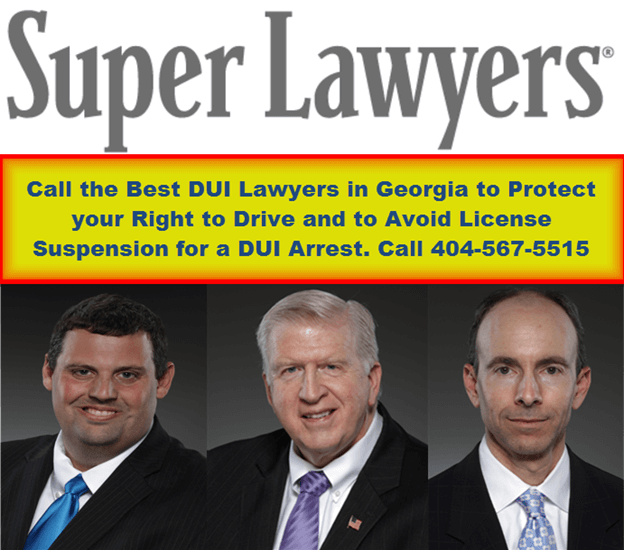 Based on statistics in our office, the sooner you call us, the better chance we have to win your Georgia DUI case. You now only have 30 calendar days to file a license suspension appeal or opt for an ignition interlock device (for arrests made July 1, 2017 and after). 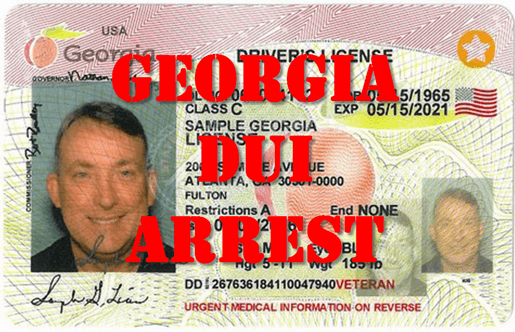 Changes in Georgia implied consent law license suspension rules have made fighting a DUI in GA easier to accomplish, if your goal is to keep a DUI off your criminal record. Failure to file a timely appeal means that your Georgia driver’s license will be suspended for up to one full year year!